Have you ever wanted to play a quick round of Wii Sports while out and about? A recent case-moddder has taken Nintendo's popular Wii console and built it into a laptop-style case, making on-the-go Wii gaming possible. This particular case mod requires plenty of patience. This expandable PVC-encased Wii "laptop" took its builder more than three months of spare time and around £400 ($600) to build. 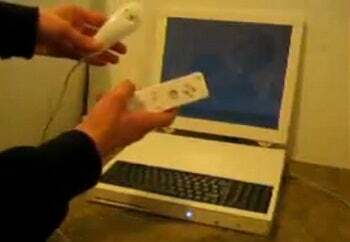 This isn't the first time someone tried to make the Wii more portable; in 2007 Ben Heckendorn's made a slightly different Wii laptop. For more on this latest effort, though, be sure to check out the Benheck.com forum.